This is the first in a series of articles about Justin Trudeau and #Awakening2019. Justin Trudeau is the antithesis of Donald Trump. I can hear many cheering. Yet, while Donald Trump is listening to his citizens and working to make life better for Americans, Trudeau is busy currying favour with world organizations and promoting feminism and gender diversity. Their view of him seems to be more important than the needs of Canadians. His loyalty is in question. Is it possible that the bloom is off the rose when it comes to Globalism? I know, as a Canadian, I never pledged allegiance to the UN, the anti-Semitic organization nor the constitution for which it stands. Canada has signed the U.N. compact on the Global Compact for Safe, Orderly and Regular Migration. Now an outside organization will dictate to Canada who and how many immigrants will enter the country. This threatens Canadian sovereignty by setting international standards and responsibilities around migration. Trudeau has shared his views on immigration. In 2016 , Trudeau said he believed his approach to immigration was superior to the immigration policies of Donald Trump who was running for President at that time. To further his promotion of the Global Migration Pact, Trudeau pledged 64.5 million dollars to the Pact. The Liberal government will also increase humanitarian assistance spending by 10 per cent this fiscal year to $752-million from $684-million last year. The RCMP has spent more than $6.6 million over the past two years to process asylum-seeking migrants at Canada’s busiest illegal border crossing in Lacolle, Que. The cost for refugees to Canadian tax-payers is up to a maximum of $50,000 per year in cash aid per migrant family, not including healthcare, dental and other benefits. In August, 2018 a heckler confronted Trudeau at an event in Quebec and demanded to know when the province would get federal cash as compensation for dealing with the influx crossing at Roxham Road, which has become the entry point for illegal migrants. Racism? So questioning immigration polices is now racist. At the same time, though he has told the rest of Canada there is no more money for them. Prime Minister Justin Trudeau said his government is fighting some Canadian veterans in court because they are asking for more than the federal government can afford. “Why are we still fighting certain veterans groups in court? Because they’re asking for more than we are able to give right now,” Trudeau said, answering a question from a veteran, who said he lost his leg to an improvised explosive device in Afghanistan, during a town hall meeting on Thursday evening in Edmonton. Let us remember these Vets fought for these people. And he has money (10 million) for terrorists like Omar Khadr.. The Global Migration Pact also contains language around “sensitizing and educating” journalists on how they should report about immigration. The compact calls for the promotion of “independent, objective and quality reporting of media outlets” by “sensitizing and educating media professionals on migration-related issues and terminology,” and encourages de-funding media outlets that promote xenophobia, racism and intolerance toward migrants. What does that mean; promoting xenophobia, racism and intolerance toward migrants? Does it mean criticizing immigration? Like the woman in Quebec who asked a question(see above)? Like criticizing Islam? Jamie Liew, assistant professor of immigration law at the University of Ottawa, rejected the claim that the pact erodes national sovereignty, insisting it is one of its guiding principles. She said the global compact doesn’t include anything terribly innovative — and it doesn’t have teeth. Ahhh, no teeth. Like Motion 103-non-binding, but while no one has given the definition of Islamophobia, many are accused of being Islamophobic. How many Canadians will be labeled racist and xenophobic for having the unmitigated gall to question immigration polices in this day and age? Nationalism, or at least patriotism, seems to me a pretty normal state of human affairs in most places and at most times. And the idea that a country would put its own interests first was, I thought, a kind of fundamental maxim of international relations. Trump, Brexit, and the European populist movements are exposing a fault line in modern Western societies. The division is between, as David Goodhart describes: those who live “anywhere” and those who live “somewhere. “Anywheres,” or just plain “globalists” have an increasingly weak attachment to the nation-state. For Somewheres, nationalism is more than just a strong emotional attachment; it is critical to their lives. If things go badly, or if policy choices turn out to be wrong, Somewheres cannot just shift their lives to somewhere else. They depend on the nation-state . If we want a government that cares for its people, we must replace Trudeau and the Liberals in the 2019 election. From the Ethics of the Fathers: “Rabbi Tarfon used to say, it is not incumbent upon you to complete the task, but you are not exempt from undertaking it. It is not easy being a Conservative, especially a Conservative Jew. Why are we having a “Day of Remembrance and Action Against Islamophobia”? Exposed! George Clooney: a closet Islamophobe. 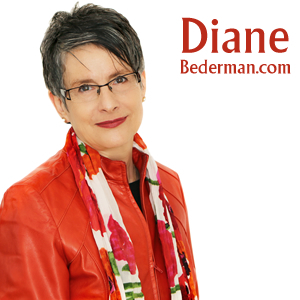 This material is produced by Diane Bederman. Permission is granted for it to be reproduced only with proper attribution.